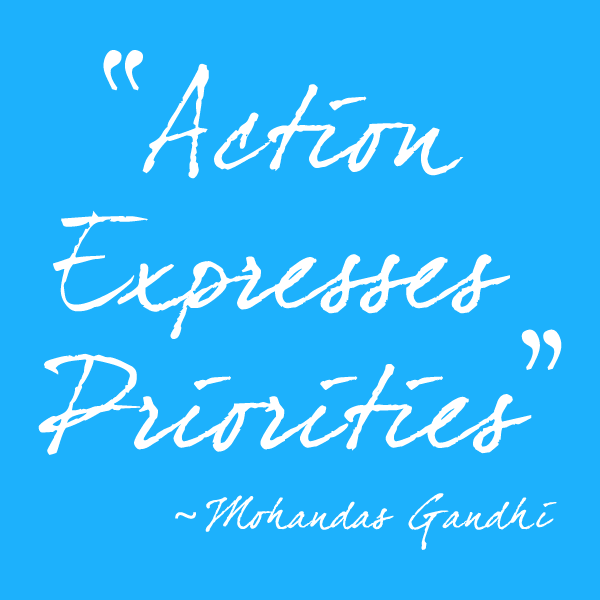 This quote by Mohandas Ghandi is one of my very favorite motivators. Such power in those three words! When I first saw this quote, it stopped me in my tracks. Like a lightening bolt had struck, I thought about all the things in my life I am doing that do not support my priorities. In all areas of my life... relationships, home and work. And what I need to do to change them. Clarity is a beautiful thing. What priorities in your life are you not acting upon?